I have been running games now for almost 30 years In that time, I have come across a few albums that are simply perfect for running games, no matter what genre or system. Every single one of these albums works because they are perfect at creating a mood without being distracting. What makes them work, is that they are mostly instrumental albums, and any lyrics are not in English, which keeps players from trying to sing along, thus creating a distraction for the game. Without further Adieu, and in no certain order, here are the six most perfect albums of background music for gaming you can buy. 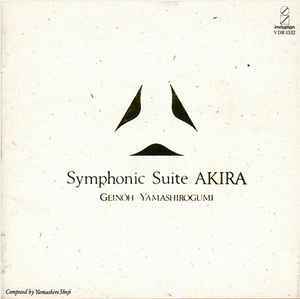 This album is the soundtrack to the film, The Last Temptation Of Christ. Do not let that sway you in any way, judge the album on it's own merits. Gabriel immersed himself in the music of the region, Arabic, Aramaic, and Hebrew traditional music fuzed with a modern edge, this album is a must own... Also of note is his follow up, Passion Sources, which is a compilation of some of the music that inspired the sounds of his album. This albums is a masterpiece, this album is so good at keeping players on their toes, not knowing what to expect from one moment to the next, breathless with enthusiasm and trepidation, that when I worked at the Devil's Darkside Haunted House in Kansas City when it opened in 1991, I convinced the owners to use it as background music... it continued being used after I left in 1996, presumably up until it closed. This is the first instrumental album from the Beastie Boyz, a funk and acid jazz excursion showcasing that the Boyz talent extends far beyond just rhymes and punk. Their second instrumental album, The Mix-Up, is every bit as good. 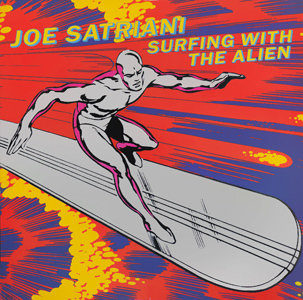 Guitar God, Joe Satriani's signature album. There you have it, my picks for best background music. Feel free to argue at me in the comments section.